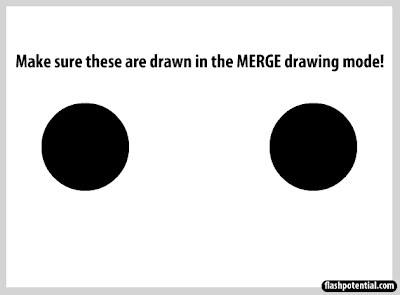 The merge drawing mode is referred to as such because when merge drawings that are of the same color overlap with each other, they will end up merging with each other. But with object drawings, each shape is treated as a separate object (hence the term object drawing mode), so they will not merge with each other when they overlap. Select the oval tool. Make sure that the object drawing mode is OFF. 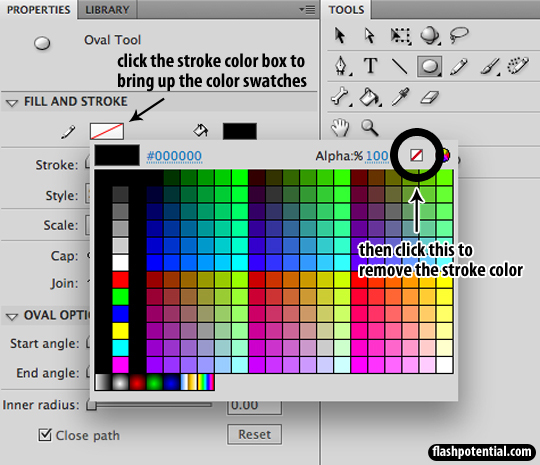 In the properties inspector, remove the stroke by clicking on the stroke color box and choosing no stroke color. Draw two circles on the stage. Both should be merge drawings, and both should have the same color. Switch to the selection tool and then click and drag one of the circles so that it overlaps with the other circle. Once they overlap, press ctrl + shift + A (PC) or cmd + shift + A (Mac) in order to deselect the selection. 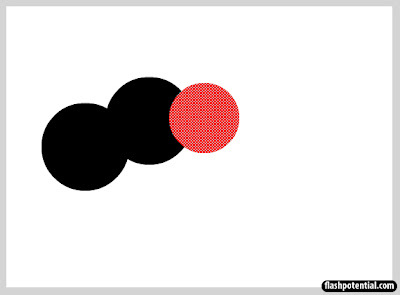 Check to see that the dotted pattern on top of the shape disappears. If it disappears, it means that the shape has been deselected. Another way of deselecting an object is to use the selection tool and then click on any empty area on the stage. 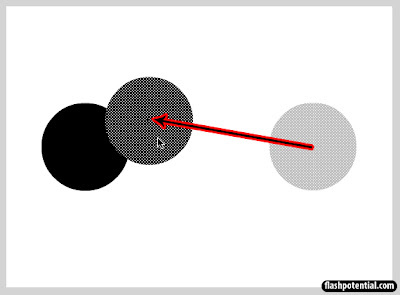 Then click anywhere on the newly overlapping shapes using the selection tool. You should see that both shapes are now merged together. This is now considered as one shape. If you click and drag it, then the whole shape will move to wherever you reposition it. Now, let's find out what happens if you overlap merge drawings that have different colors. 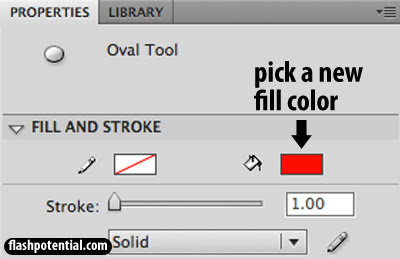 Select the oval tool again, and then go to the properties inspector and choose a new fill color. Then draw another circle on the stage, and then use the selection tool to move this new circle so that it overlaps with the other two circles that were merged. Then press ctrl + shift + A (PC) or cmd + shift + A (Mac) in order to deselect the selection. Once the selection is deselected, click the new circle again and drag it away from the other shape. Once you've moved it to a new location, you'll see that it takes with it a chunk of the other shape. This is what happens when merge drawings of different colors overlap - the shape on TOP will "eat up" the parts of the shape underneath it. As I mentioned in the beginning of this tutorial, this only applies to merge drawings. 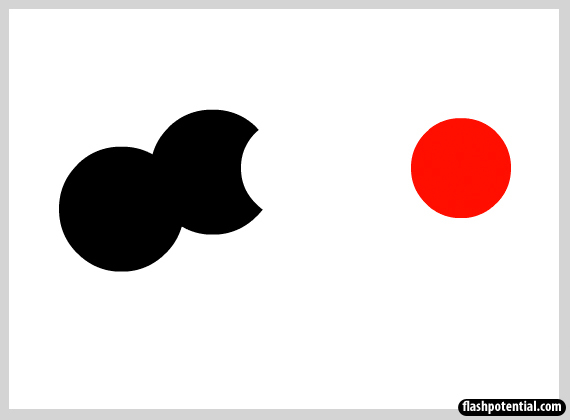 Object drawings will not combine with each other if they overlap. This difference in behavior is probably one of the more important considerations you have to think of when choosing to work in the merge drawing mode or the object drawing mode. 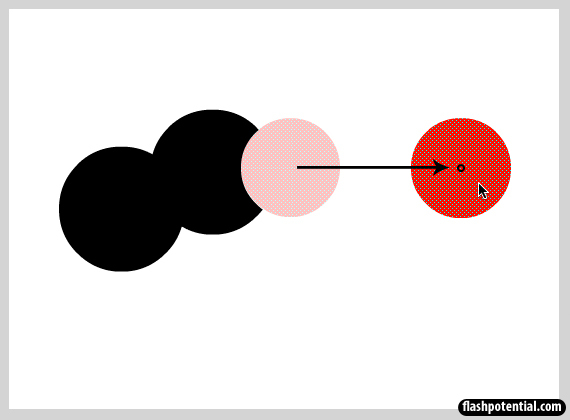 If you want to easily combine shapes just by overlapping them, then choose the merge drawing mode. If you want to make sure that each shape remains separate, then choose the object drawing mode. In part 4 of this series, we'll see how the paint bucket tool behaves depending on the drawing mode used to create closed shapes.